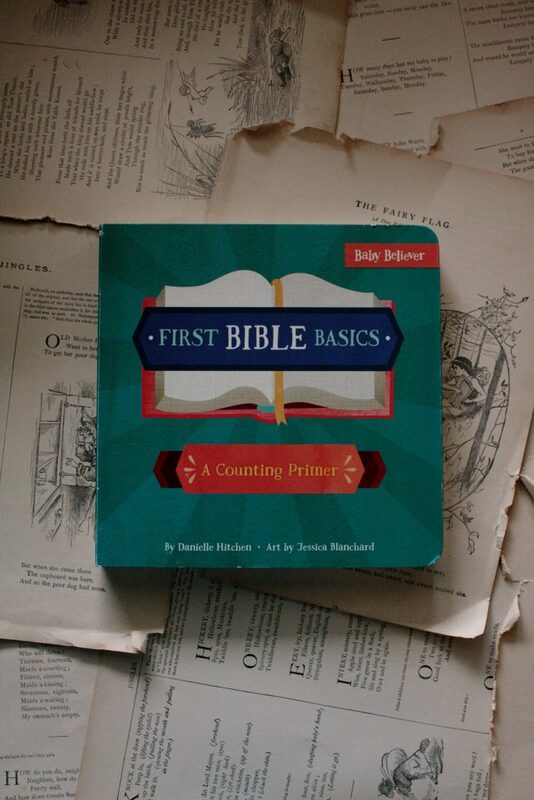 First Bible Basics is a board book written on two levels: on the ground level, it’s a counting primer based around core doctrines of the Christian faith–One God, Two natures of Jesus, Three persons of the Trinity, and so on. 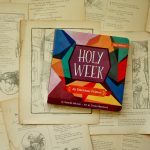 But on the second story, it’s a theological primer for young readers, as Danielle Hitchen uses quotes from Scripture, hymns, old writings, or her own simple explanations to expand upon these core doctrines of the Christian faith. Josie, at one, stays on the ground floor. 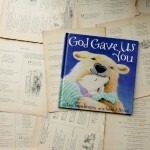 We count commandments and beatitudes together, close the book, and go to bed. But four-year-old Phoebe rides up to the second floor, where we discuss those things a little more deeply. 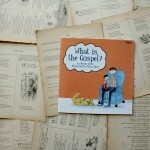 We read the verses and quotes and study the illustrations and sing whatever songs we know that go with them (after years of listening to Slugs & Bugs on repeat, this is a reflex. I can’t read “Matthew, Mark, Luke, John . 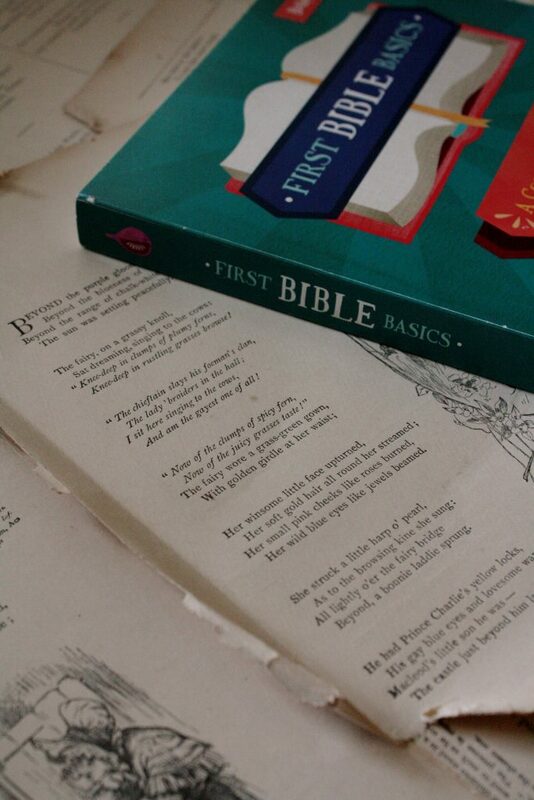 . . ” without bursting into song). 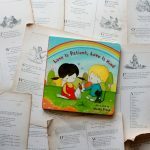 Jessica Blanchard’s illustrations help articulate these truths for children (and, if we’re honest, adults). 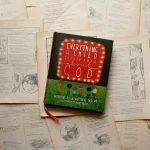 She represents broad, abstract ideas in a way that familiarizes readers with some of the wonders of our faith. 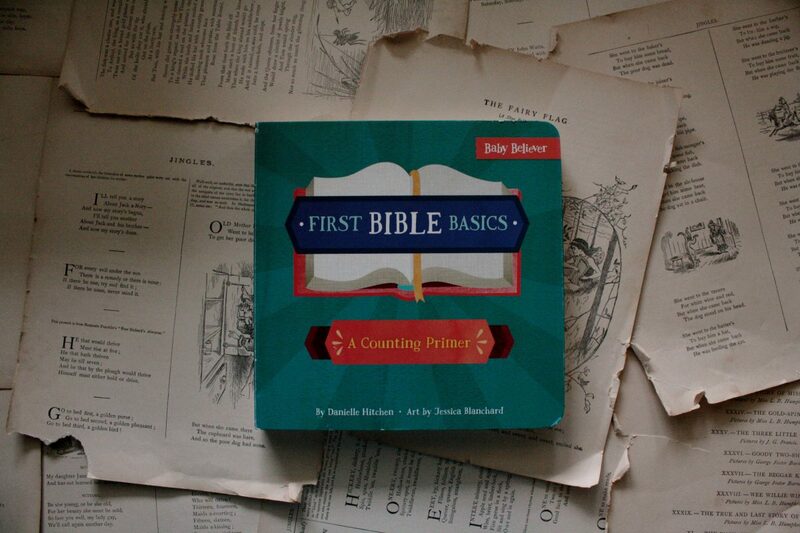 First Bible Basics would be a beautiful gift for new parents (or for new believers with a sense of humor). 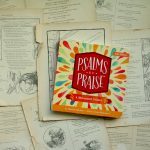 Hitchen and Blanchard have released a second book in the “Baby Believer” series, Psalms of Praise, but we don’t have it yet. 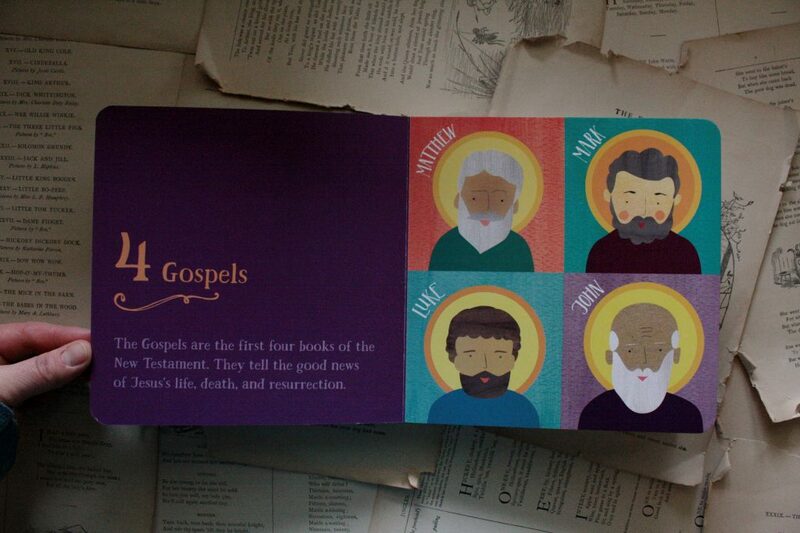 It’s only a matter of time before I find an excuse to add it to our collection of board book theology.